Red Cross During World War I, Walt Disney’s brothers were in the army and the navy, and he wanted to do his part for his country too. He was too young, at 16, to get into the military, but a Red Cross unit that would take 17-year-olds seemed ideal. Walt felt he could pass for 17. 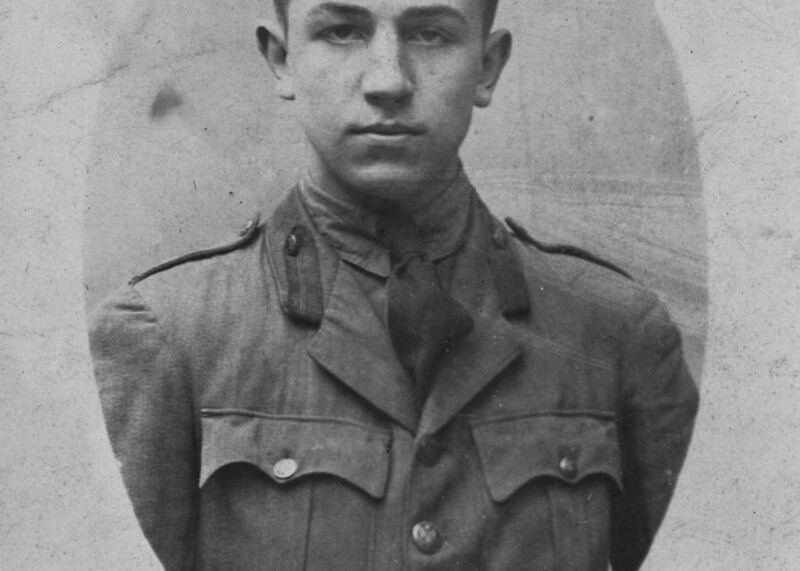 After a little discreet forgery on his passport application, Walt became a 17-year-old, and he was accepted for the Red Cross on September 16, 1918. After training at Sound Beach, Connecticut, he was sent over to France one week after the Armistice was signed. Landing at Le Havre, Walt took the train to Paris, and was then stationed at St. Cyr, near Versailles. Two weeks later he had his 17th birthday. Walt was first assigned to driving ambulances for Evacuation Hospital no. 5 in Paris, and later to a motor pool. In his spare time, he drew. A local canteen had him make up some posters. An enterprising friend thought up a racket of searching dumps for discarded German Army helmets, then having Walt paint on camouflage to make them into snipers’ helmets. These would then be sold to raw recruits coming in on the troop trains. While Walt enjoyed his time in France, the American troops were quickly being sent home, and by September 1919, there were few American faces to be seen in Paris. Walt put in for a discharge and was sent home late that month.